Paul Armin Edelmann's association with music began at an early age. As a child, he was a member and soloist of the famous Vienna Boys’ Choir. Later on he reinforced his musical studies by studying voice at the University of Music and Performing Arts in Vienna. In 1998, Mr.Edelmann went freelance. Since then he has sung at: the Vienna State Opera, Vienna Volksoper, Teatro Real Madrid, Komische Oper Berlin, Théâtre Royal de la Monnaie Brussels, San Diego Opera, NNT Tokyo, Lincoln Center Festival New York, the state theatres in Darmstadt, Düsseldorf, Wiesbaden, Cologne, Frankfurt, Stuttgart, Munich and Leipzig, Opera Ireland Dublin, the Israeli Opera in Tel Aviv, as well as the Palau de les Arts Valencia, the San Sebastian Festival, Bregenz Festival, Hongkong Opera, NCPA Beijing, Mexico City, Rio de Janeiro, Sevilla, Catania and the Opera National de Paris & many more. Edelmann has worked with such well known conductors as Nikolaus Harnoncourt, Lorin Maazel, Michel Plasson, Jeffrey Tate, Manfred Honeck and many more. 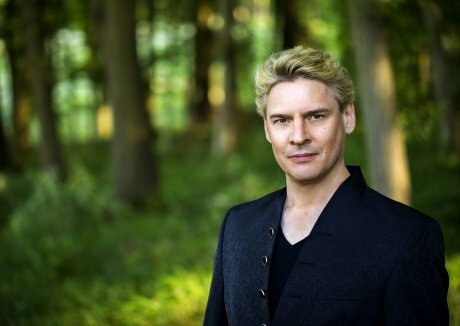 In the new season he will perform in the Koncertsalen Copenhagen, Cologne Opera, NCPA Beijing, Auditorio Alfredo Kraus Las Palmas, National Theatre Prague, Maison Symphonique Montreal, NNT Tokyo and many more. His album “Reger Orchestral Songs” and Edelmann´s new Schubert album have been released on the label Capriccio.